19 February is the anniversary of the day in 1942 when the Japanese began air attacks on Darwin in northern Australia. The first attack employed land-based bombers together with attack aircraft from aircraft-carriers in the Timor Sea. The Japanese were about to invade Timor and sought to limit Darwin’s potential as a base for an Allied response. There were about 240 deaths and the town was heavily damaged. There were 64 air attacks on Darwin between February 1942 and November 1943 as well as raids on other northern towns. This is interesting to me because my father, John, was a radar specialist in the Royal Australian Air Force and part of the air defence forces sent to Darwin in 1942. 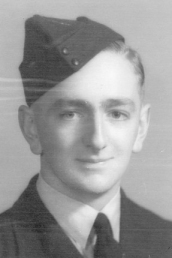 John enlisted in the RAAF on 31 July 1942. As a worker in Amalgamated Wireless Australia, a radio construction company, he was not permitted to enlist earlier. 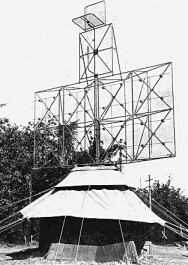 This LW/AW (light weight, air warning radar), developed with “absolute priority” in 1942, weighed about one ton and was the first ground-based radar set able to be transported in a single aircraft. Sets like this were used at airfields supporting the allied forces that invaded SE Asia. My Dad was skilled in the operation of this equipment and was keen to go overseas but was required to stay in Darwin. Radar rapidly became more sophisticated as the war continued. 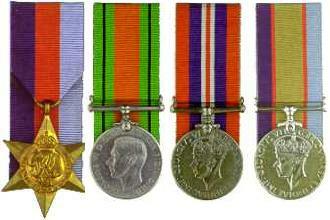 John was discharged from the RAAF on 7 February 1946 and awarded the 1939-45 Star, the Defence Medal, the War Medal 1939-45, the Australian Service Medal 1939-45 and the Returned from Active Service Badge. Links: information on the Darwin raids from the Australian War Memorial and the Battle for Australia Council. History of the development of radar in Australia by the predecessor of the CSIRO. The Tiwi people have welcomed the Air Force back onto Bathurst Island, more than 60 years after they warned Australia of the first Japanese air raids against the mainland in World War II. Located in the approaches to Darwin, Bathurst Island has a long association with the defence of Australia. On February 19, 1942, a priest working on the island, Father John McGrath, reported the approaching Japanese enemy aircraft to Area Combined Headquarters in Darwin. Cape Fourcroy, where a lighthouse now stands, was the site of the Air Force’s No. 38 Radar Station (38RS) from 1942 to 1945. During its time, 38RS were equipped with the Australian-built Light Weight Air Warning radar set, highly regarded by allied Air Forces in the South-West Pacific for its ruggedness and capacity to endure the harsh tropical climate. Another radar site was discovered on the south coast of Bathurst Island during recent surveys that shows evidence of having been prepared for another unit to occupy. However there is no written record of what actually occurred at this site. The Air Force returned to Bathurst Island with the establishment of a new, purpose-built radar site at Point Fawcet. No. 41WG will deploy one of the Air Force’s radars to the site in May. The radar will be operated remotely and maintained by No. 114 Mobile Control and Reporting Unit at Darwin.